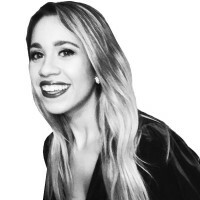 Mandy Velez is a social media editor at The Daily Beast. She lives and breathes all that is social. She does reporting, too, which you can also find at Yahoo, Teen Vogue, The Washington Post's The Lily and more. Follow her without a filter on Twitter @mandy_velez or Instagram @mandyvel. Send her tips: [email protected]or [email protected]. You can also use our anonymous document submission system, SecureDrop. Click here to find out how.